Spread the word - Blackfish and The Cove | gingerbread smiles. Let me start this post by saying this isn't my usual happy go lucky kind of post, its quite a bit deeper than that. I wouldn't usually write about something like this but I feel like people need to be aware of what is going on in the world so that they can be educated in their future decisions. Me and my boyfriend enjoy a good documentary. We've seen ones about people having second lives online, the development of indie video games and people posing as missing children. Most recently we sat down to watch Blackfish. 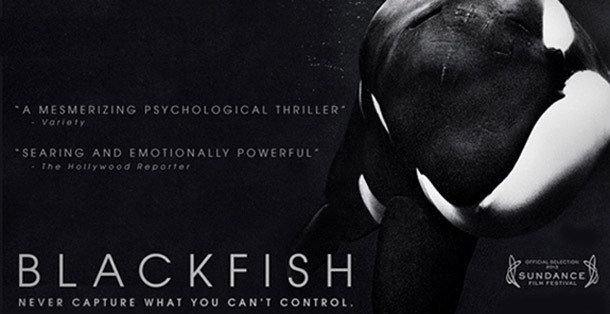 This film delves into the world of Orca whales that are held in captivity, most commonly referred to as killer whales. Throughout the documentary there are interviews with many former whale trainers talking about how keeping these mammals captive and expecting them to perform tricks is unnatural and unethical. Blackfish focuses on one the most famous Orca whales, Tilikum - who is currently still performing at Seaworld, California in the Shamu shows. Tragically it highlights the lives of trainers that Tilikum has taken whilst being in captivity but it also shows how such a gentle creature in the wild could take such a drastic turn and take human lives. The industry that currently own these whales and profit from their captivity are shown to be careless towards the whales and also the trainers who put their lives on the line to help them. Previous incidents with whales are either hidden or spun to blame trainer error rather than taking the whale out of shows to prevent further damage. It is an extremely eye opening documentary which will make you question ever wanting to see these creatures in an environment such as Seaworld. To see what you can do to take part visit the official film website. 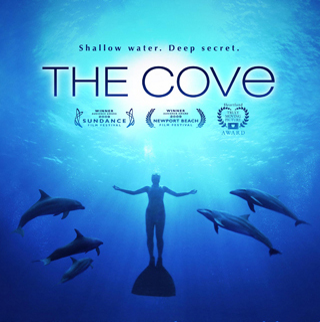 The second documentary that we watched was called The Cove. This focuses on dolphin catching and killing in Taiji, Japan. This is a very hard watch as it shows the capture of dolphins for sale and the brutal killing of hundreds of dolphins to be sold on as meat to the Japanese public. The whole operation is such a guarded secret in Japan that the team who filmed this documentary had to plant secret cameras in the dead of night to capture the horrible happenings in Taiji. Watching this documentary makes me feel sick and extremely angry that the Japanese government can say this is okay to do. Apart from the fact that I think it is morally wrong to kill such intelligent creatures, their meat contains off the scale amounts of mercury that can lead to mercury poisoning which can effect the brain, heart, kidneys, lungs and immune system. It is extremely harmful and shouldn't be eaten. From what I've read some are very quick to compare Japan's slaughter of dolphins with the Westerners killing of cows. Some of the Japanese that were filmed for this documentary are trying to retract what they have said in this, possibly due to government pressures. Someone very passionate about this being stopped is Ric O'Barry. Responsible for training dolphins for the TV show Flipper, Ric now sees the hurt caused by the industry he helped create and now he is trying to knock it down. If you think you can stomach it I would recommend watching this so that you can see first hand what happens in Taiji which may lead to you trying to help. If you'd like to see what you can do, visit the Take Part website and read about the petitions. I would hope that you've took the time to read this and are considering taking a look at either documentary, if not I hope that at least it has opened your eyes to these situations. I am not saying I am going to go out and become an activist for whales and dolphins but I will certainly look into the little things I can do that will make a difference. One thing is for sure, if I want to see these animals in the future it will be in the wild. Love this topic! I've seen so many documentaries on this topic and it kills me. Any harm to any animal in my eyes is a crime. I hope this brings it to light for some people. We watched Blackfish recently and were horrified, especially at the footage of Tillikum being captured as a baby and the group of whales following the boats and calling for their babies. They are intelligent animals and shouldn't be caged and treated in such horrible ways. They're trying to press a bill through in California to make it illegal to keep orcas in attractions such as SeaWorld. I signed an online petition to show support via numbers for the bill. I haven't heard of The Cove, but it sounds even more appalling. I'm not sure I could stomach it.